After helping his parents plan for their retirement, Alex realized that there were lots of people like them – investors who were uncertain about how their investments should be structured. That’s when he decided to make the move from institutional investing to advising private clients – an area where he felt he could truly make a difference. 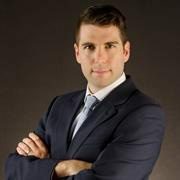 Since then, Alex has been leveraging the extensive institutional investing experience and expertise he gained during his nine years at Credit Suisse First Boston and Merrill Lynch to help his high net worth clients articulate and meet their financial objectives. Alex graduated from Bishop’s University in 2001 with a Bachelor of Business Administration, majoring in Management and Finance. He holds the Chartered Investment Manager (CIM®) designation and is able to provide discretionary portfolio management. Alex is married and lives in Montreal with his wife and two sons. He supports various local charitable causes, and organizes volunteering activities at local homeless shelters. He is part of the Montreal Bishop’s Alumni Network, and enjoys swimming, hiking, wine tasting and travelling. Committed to leading by example, Alex lives according to the 3 Ps: Protect the environment, protect your health, protect your wealth.